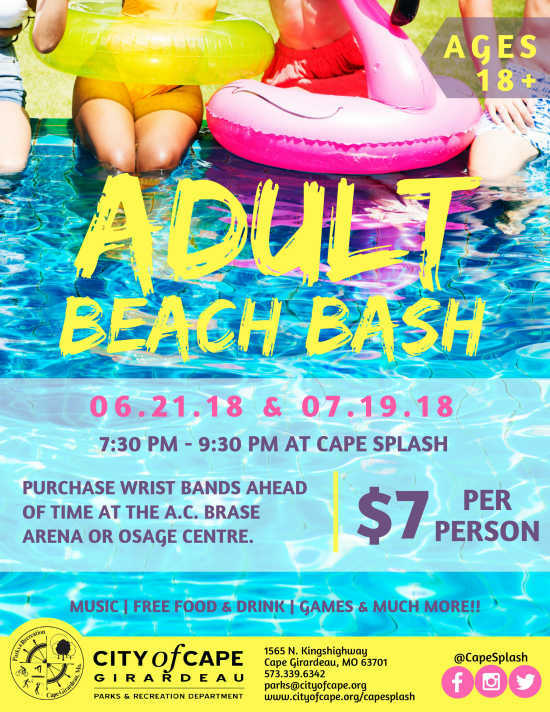 Are you in need of a summer trip to Cape Splash without the kids?! Relax in the lazy river, listen to live music, enjoy minimal lines for slides, play pool volleyball, and indulge in free food. We’re offering two dates for so me tropical fun! Purchase your event wrist band ahead of time at the A. C. Brase Arena or Osage Centre. For ages 18+.